In Tortola, Brandywine Bay is the place to spend a lovely evening wining and dining, which will be unforgettable. 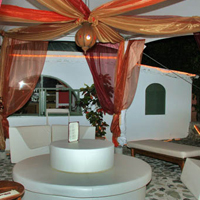 The mouth-watering treats blend the best of the Caribbean and the chef’s Tuscan heritage. The menu changes nightly, but the quality never varies. Food here is served fresh with flavour and simple elegance. You will also enjoy the finest wines to pair with your meal.